Indian Army Recruitment 2018 2019 | Indian Army invites Online Application for the post of 160 B.Sc Nursing Course 2019 Posts. Indian Army B.Sc Nursing Course 2019 Jobs Notification 2018 Released. Indian Army invites on-line applications for appointment in following B.Sc Nursing Course 2019 post in Indian Army. Opening Date and time for Submission of Application is 12.11.2018 and end up by 30.11.2018. 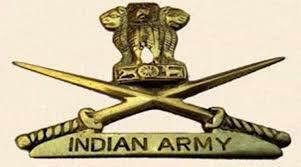 You can check here Indian Army Recruitment Eligibility Criteria, Pay Scale, Application Fee/Exam Fee, Indian Army Selection Process, How to apply, Indian Army Syllabus, Indian Army Question Paper, Indian Army Admit Date Release Date, Indian Army Exam Date, Indian Army Result Release Date & other rules are given below... Aspirants are requested to go through the latest Indian Army job recruitment 2018 fully, before applying to this job. Eligible applicants will be called for an objective type Written Test of 90 minutes duration likely to be held in Jan 2019, covering General English, Biology, Physics, Chemistry and General Intelligence. On the basis of merit of written Test, candidates will be called for interview during Apr 2019. Final selection will be based on Combined merit of Written Test & Interview, subject to medical fitness and vacancy in each College. Interview & Medical Examination: Merit listed candidates of Written Test will appear for Interview & medical examination at selected centers. Candidates declared FIT/UNFIT in medical examination will be informed about their medical status by the President of the Selection Medical Board (SMB), including the procedure of requesting for APPEAL/REVIEW MEDICAL BOARD. How to apply Indian Army B.Sc Nursing Course 2019 Vacancy?